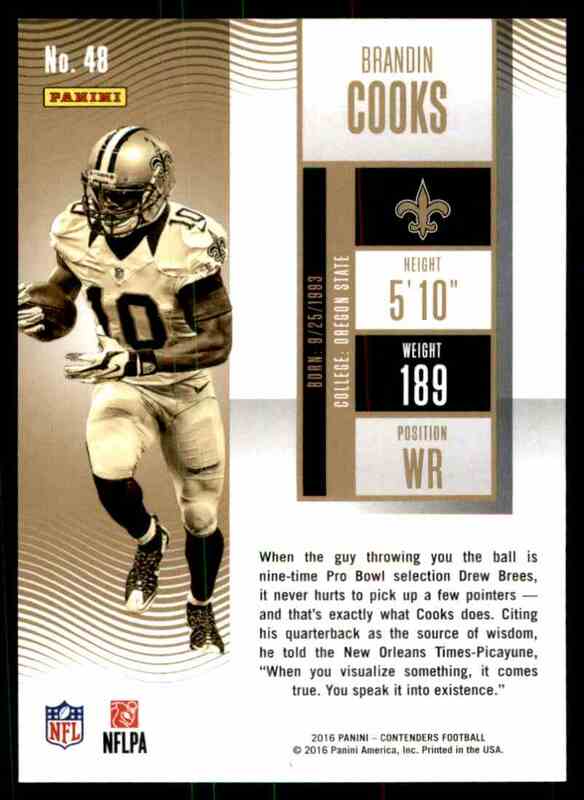 This is a Football trading card of Brandin Cooks, New Orleans Saints. 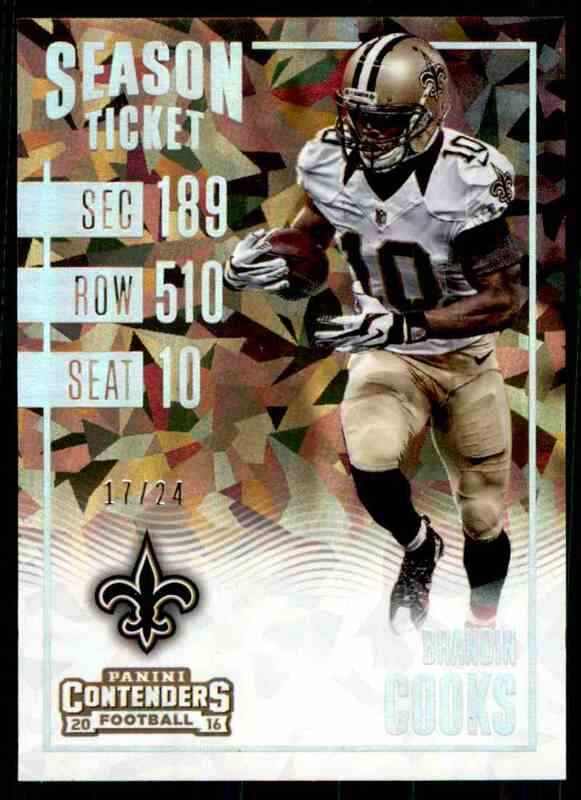 It comes from the 2016 Panini Contenders Season Ticket set, serial numbered 17/24. Cracked Ice. It is for sale at a price of $ 29.99.